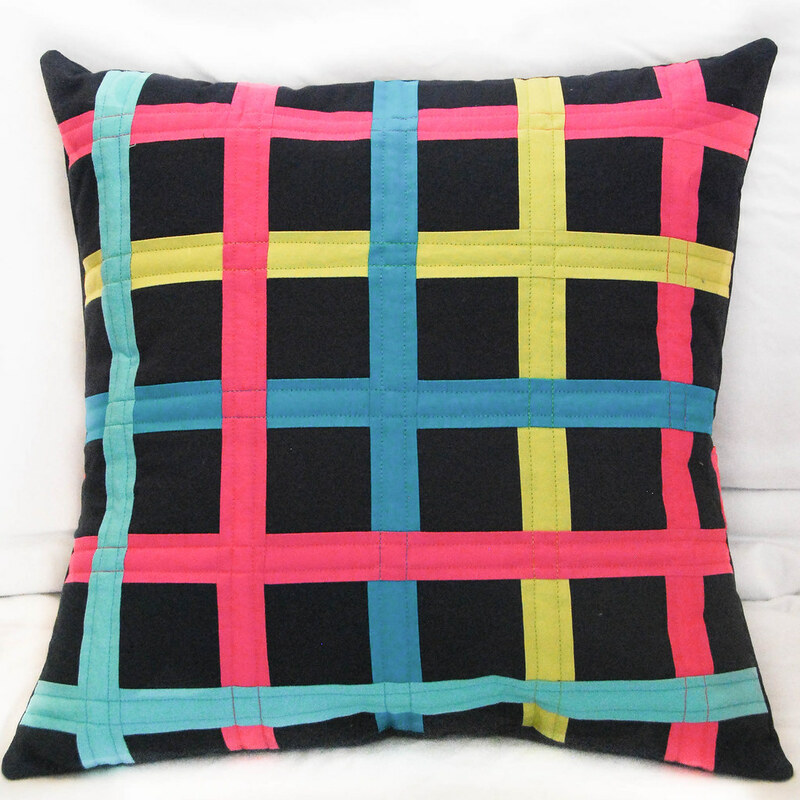 I've been meaning to make a pillow for the Blogger's Pillow party since January. The stars finally aligned and I came up with this pillow. A while ago I came up with a few ideas for a quilt. 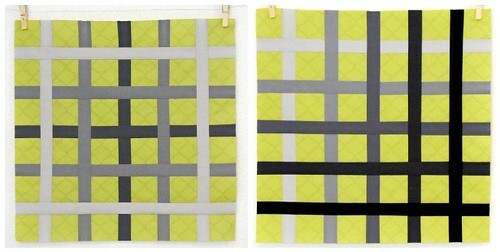 I make some sketches in Photoshop and I even made one of the quilts (that I keep in my car since I used crappy fabrics just to see how it would work). 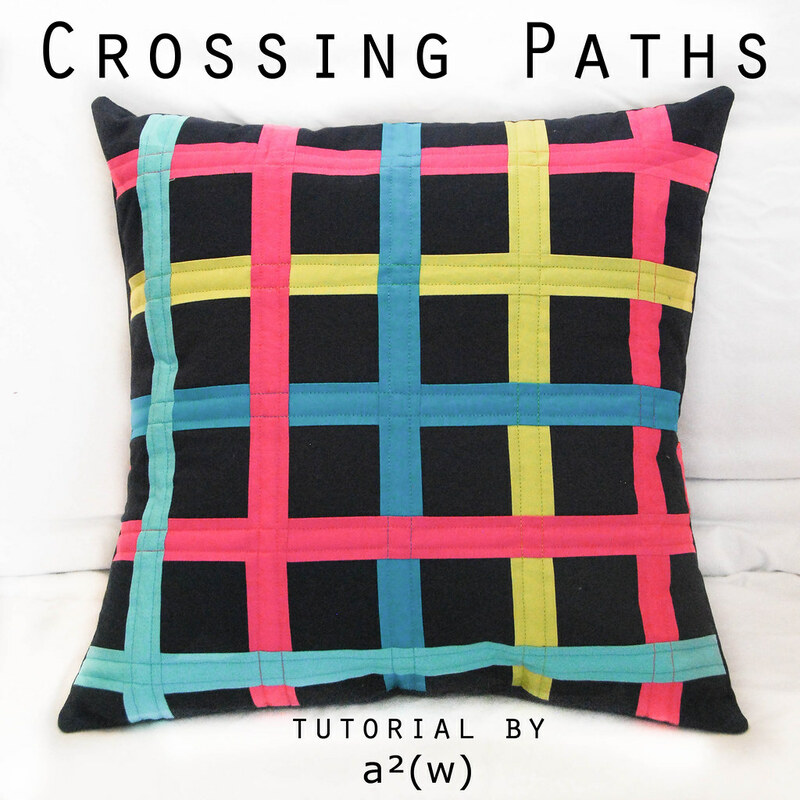 Last month Leah of the Free Motion Quilting Project asked me to come up with a tutorial for a guest post on her blog. I played with a few ideas, but ultimately came back to a design I came up with last August. I played with a few samples in my original Green & Gray combo. I'm working on a coordinating quilt too, but it has been set aside in favor of other projects. Sigh. I really do need to get better about finishing things!! Back to the pillow. I LOVE IT!! And there will be a tutorial for it on the Freemotion Quilting Project blog in May. love it love it love ali! Nice looking blog, Ali! Congrats on the new job! Awesome pillow! And ...congrats on all of the other great things coming your way! The pillow is so cute! I like the chartreuse and gray (that is chartreuse right?) squares. Carter's (the baby clothes company) is doing all these clothes in lilac and chartreuse and I love them. Cute pillow too! Ikea has cheap pillows (20" I think) that make good pillow forms FYI. Much cheaper than Jo-Anne's. Great pillow and smart name. It's a very cool design. Thanks for joining in on the Pillow Party!